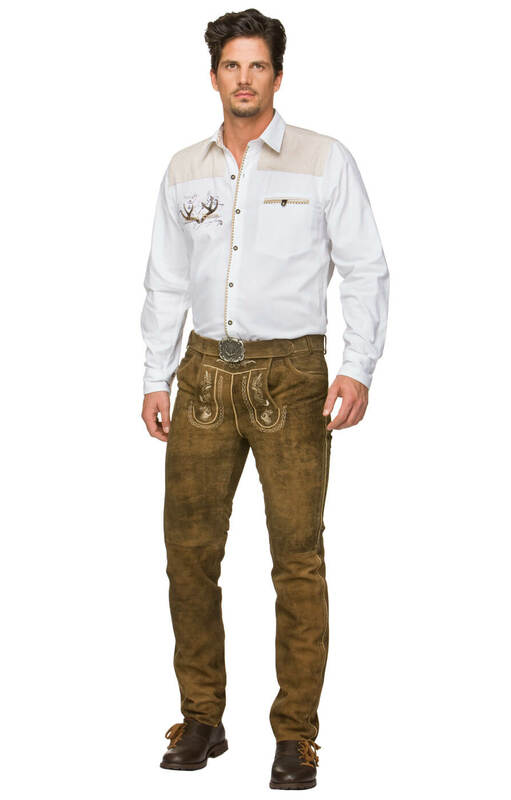 Long Trachten Lederhosen Julius in Havana. 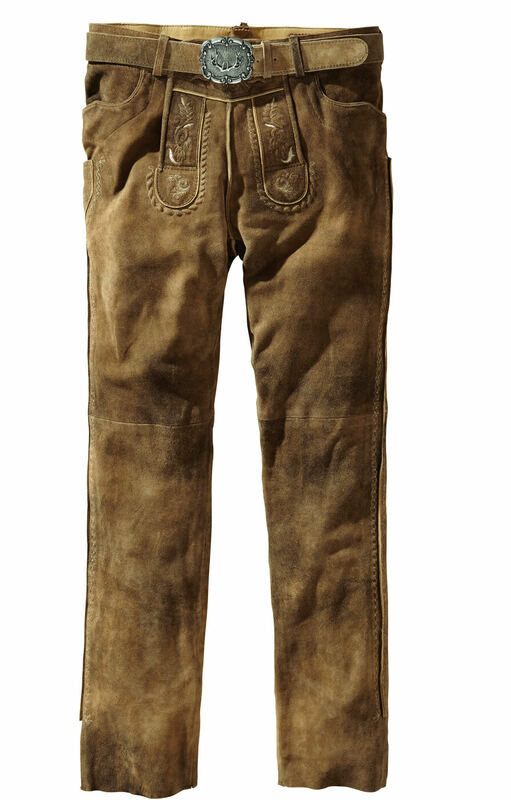 The Julius long Trachten Lederhosen in Havanna-brown express all the Trachten aesthetic in a contemporary style that provides more coverage. Made from soft buckskin, they are elaborately embellished on the front flap, side pocket and side seams with traditional embroidery in shades of white and beige that complement the warm brown Havanna tone of the leather. 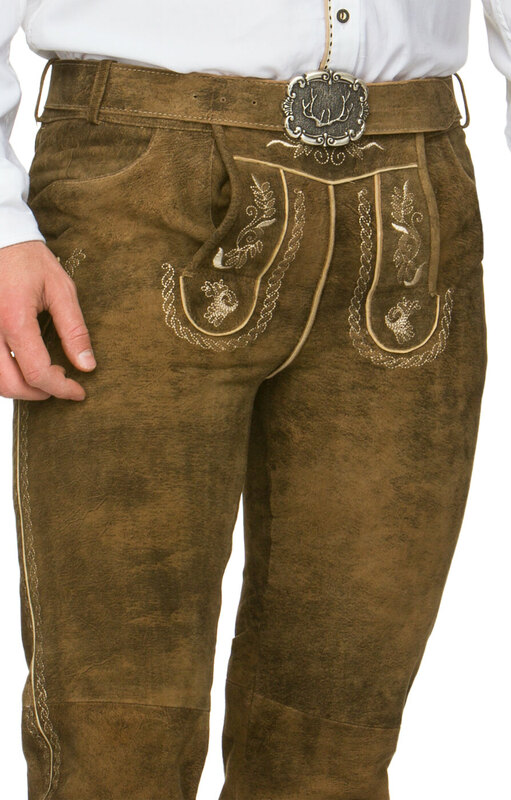 Constructed for both style and comfort, the leg fronts of the Julius Lederhosen have a seam above the knee for improved flexibility. 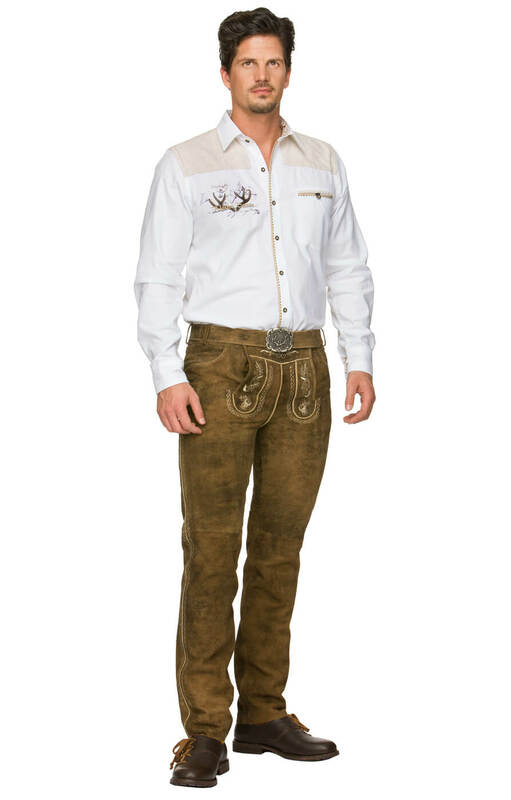 These Lederhosen come with a wide belt that is accentuated with a stunning silver buckle decorated with stag's antlers. Werde sicher wieder bestellen ! Hallo,vielen dank für ihre prompte Lieferung !! Produkt -Preis alles okay !